Using a unique combination of step by step projects, movie tutorials and sample images, Mark Galer guides the reader through the most powerful photo editing tools that Elements has to offer. Discussing and demonstrating the skills and know-how to create professional-quality results with this budget-priced software. 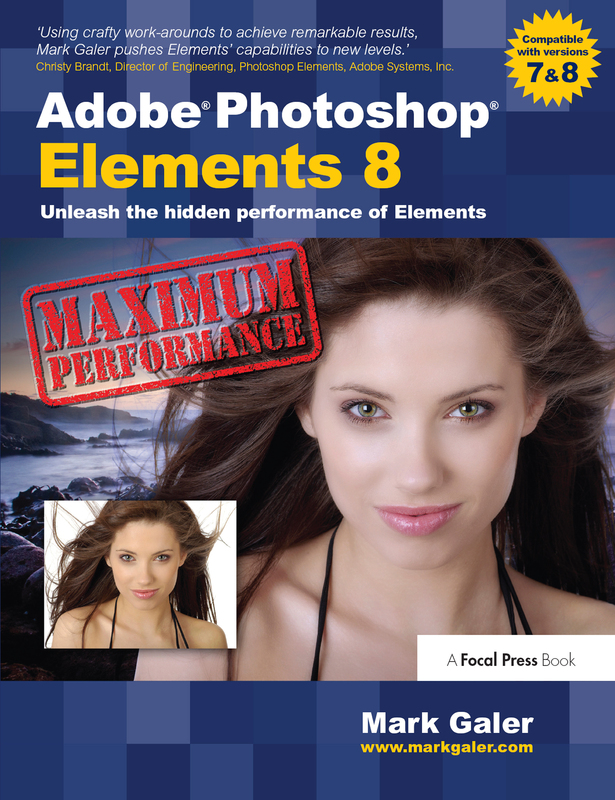 Whether optimizing photographs for printing, enhancing images for maximum impact, or creating impressive, seamless montages, this book will enable any aspiring digital professional to get the maximum performance from the credit crunch approved software. The package is complted with an astonishingly comprehensive DVD packed with over 7 hours of movie tutorials, 100+ sample images, a stock photo gallery as well as automated actions to get even more out of the software. Mark Galer is the Program Director and Senior lecturer at RMIT University in the School of Media and Communication, Australia. He is also co-writer of their popular online photography courses. He has lectured in photography in the UK and Australia and has worked commercially as a freelance photographer on corporate and editorial assignments. He has written numerous top-selling photography books, including Photography Foundations for Art & Design, the Popular Photoshop Elements; Maximum Performance and Photoshop; Essential Skills series. He is an Official Adobe Ambassador for Photoshop and Photoshop Elements.